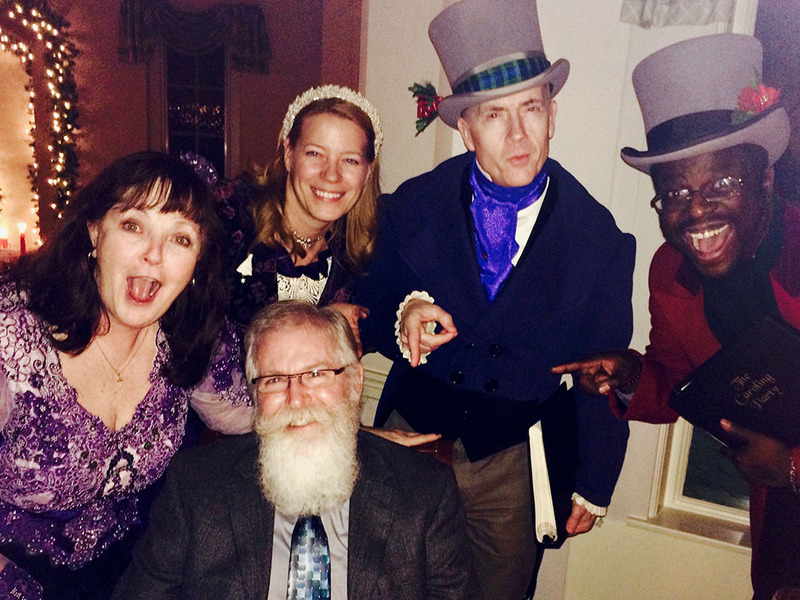 The Caroling Party provides beautifully costumed carolers throughout the holiday season. 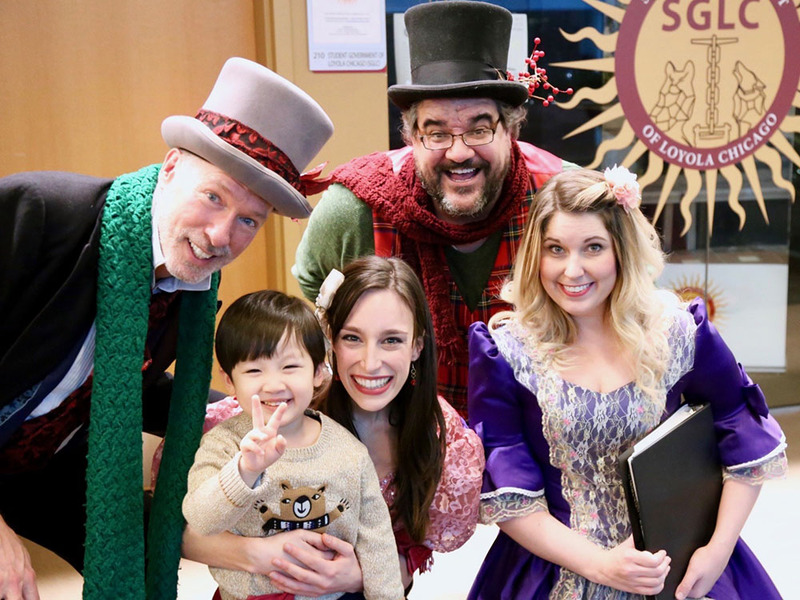 Working from a book of over a hundred arrangments, our singers are available for strolling, casual caroling and stage shows. 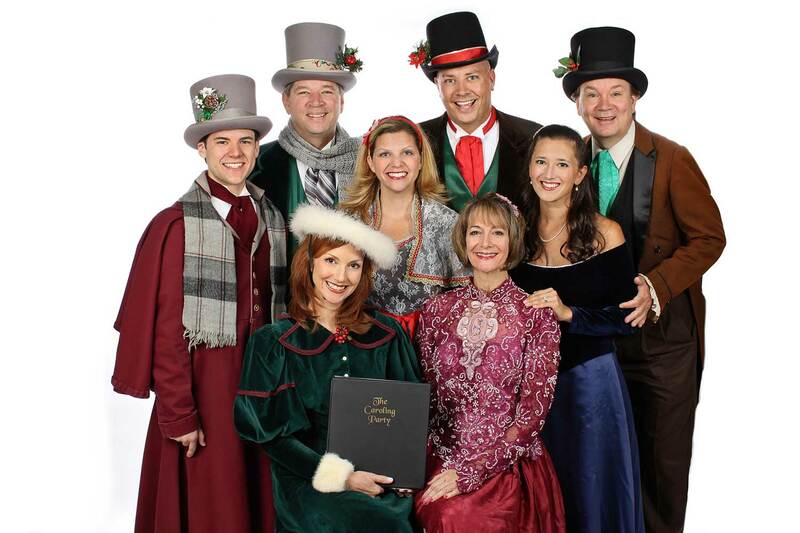 Whether you call us Christmas Carolers, Dickens Carolers, Elizabethan Carolers or Madrigals, we are fully rehearsed and ready to provide you with the best caroling experience available anywhere. 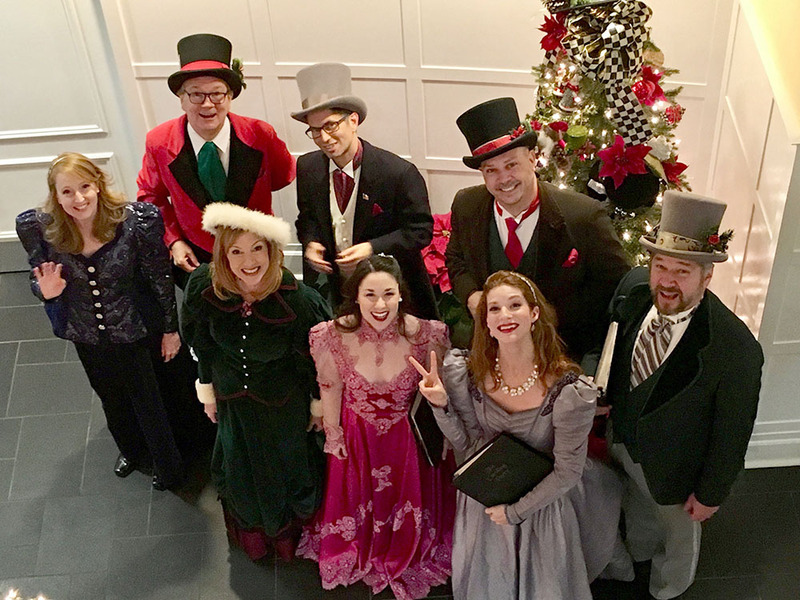 The Caroling Party is based in Chicago and has more than sixty singers, performing as quartets and double quartets at country clubs, corporate events and private parties all around the Chicago area. Check out our Facebook page for news and events. Starting with all the traditional hymns and carols, we’ve expanded our repertoire each year, adding holiday movie music, Christmas standards from the 40’s and 50’s, rock ‘n roll Christmas classics and holiday novelty tunes. With over 100 arrangements in our book, there are few requests we can’t fulfill. 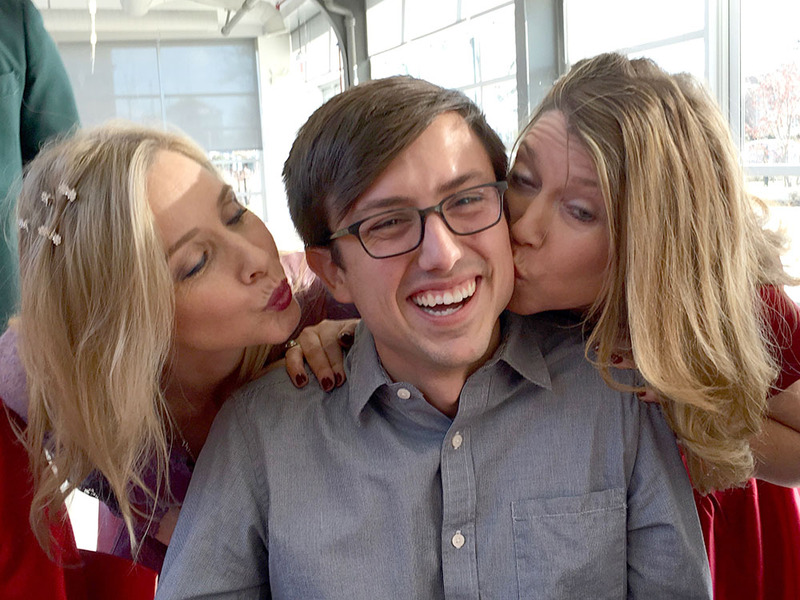 I’ve never worked with a more professional organization. Top notch performers. They sang for me for seven years when I was at Ruth Lake and have been conducting the Family Singalong Nights at Inverness for over twenty five years. Now they’re lighting up Candlelight Dinners at Oak Park. Consistently excellent! 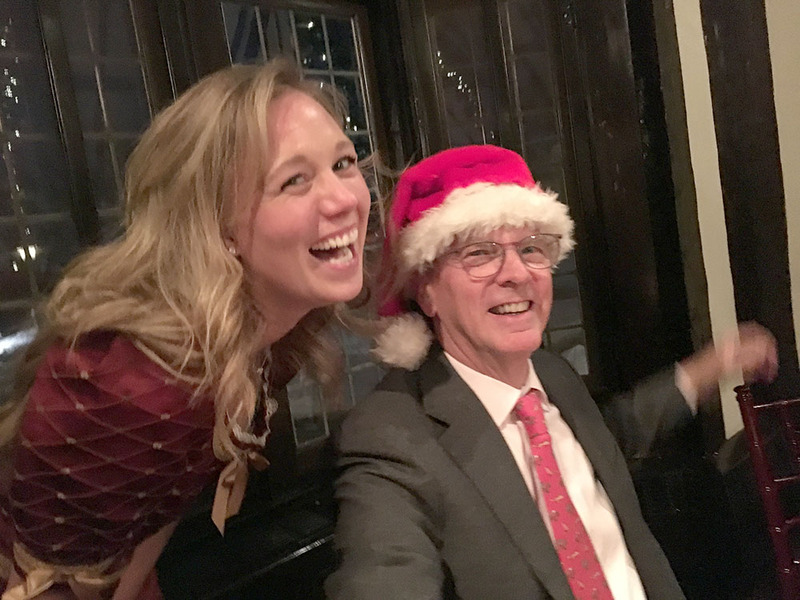 … quite wonderful and added a festive touch to a special evening. Your period costumes and magnificent voices brought the true meaning of Christmas to our Candlelight dinners. 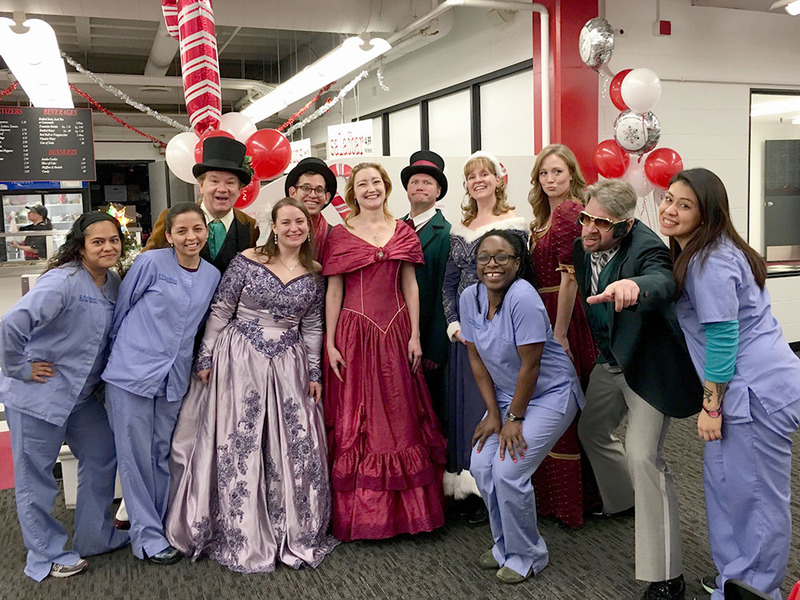 The carolers added just the sparkle our Christmas party needed. The quartet sounded great as usual and we continue to hear glowing comments from our guests. The carolers did not disappoint. They did an incredible job. My guests just left and were still talking about the performance. 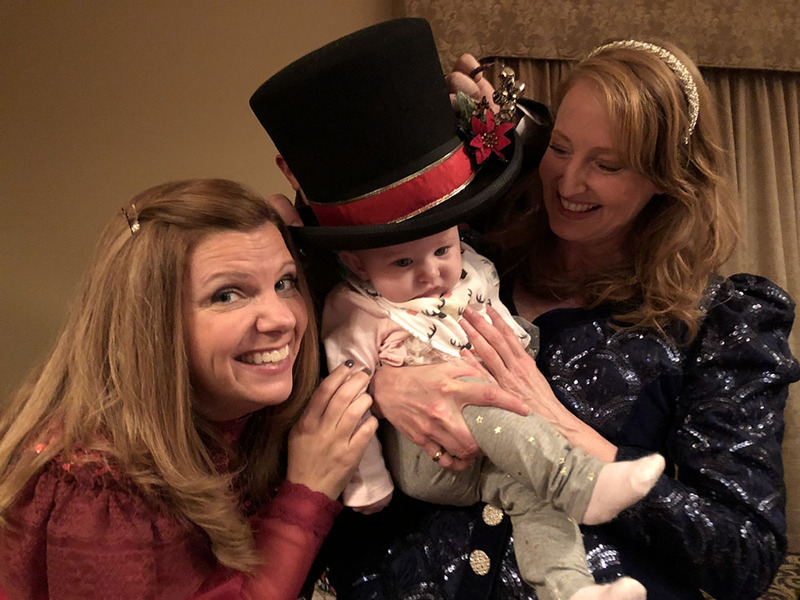 Thank you, Caroling party, for an unforgettable Christmas! The Caroling Party cast a magic spell upon our tree trim. From my 18 month old niece to my 91 year old Grandma, all were enthralled. Is that something like, “kids from one to ninety-two”? You made our annual family Christmas Party special. Our chairman of the board met with all of the carolers prior to taking them on a singing tour throughout the plant and office facilities. He thought they were "fun to work with!” Everyone who attended this luncheon had positive comments and enjoyed the carolers. You have put together a very professional group of individuals who enjoy singing and entertaining. You spread the spirit of the holidays throughout the hospital. To check our availability for your party, call Paul at 847.251.4045. E-mail An e-mail is requiredInvalid e-mail format.